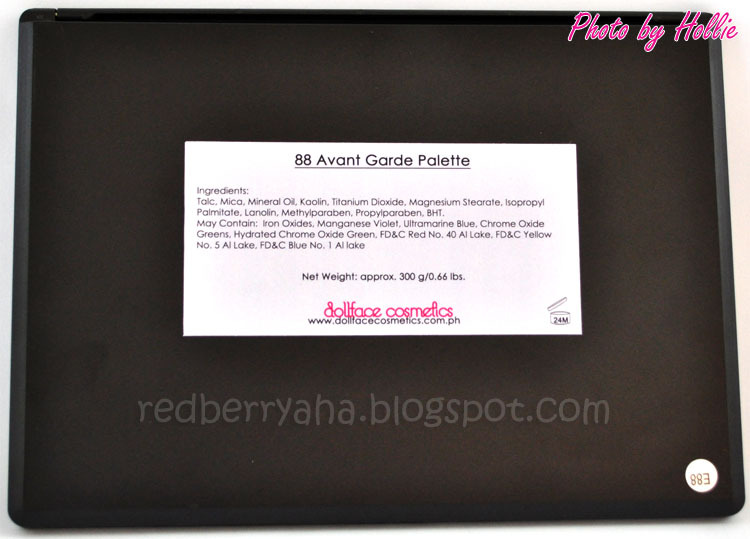 After months of saving for this, I finally got my hands on the Dollface Avant Garde Palette... Yeepee! I played with this palette right after I got it and here's what I have to say about it. Go color-happy with these bold matte and shimmer eyeshadows. Perfect for avant garde or high fashion makeup. Contained in a matte 9 x 6.5 inch case with two foam tip applicators and a mirror on the inside. Each pan is approximately sized at 0.6 inches (1.5 cm) in diameter, similar to a 10 centavo coin. Ingredients: Talc, Mica, Mineral Oil, Kaolin, Titanium Dioxide, Magnesium Stearate, Isopropyl Palmitate, Lanolin, Methylparaben, Propylparaben, BHT. May contain: Mica and titanium Dioxide, Iron Oxides, Ultramarine Blue, Manganese Violet, Ferric Ammonium Ferrocyanide, Chrome Oxide Greens, Chrome Hydroxide Green, FD&C Red No.40 AlLake, FD&C Yellow No.5 Al Lake, FD&C blue No.1 Al Lake. * stays long on lids even without using an eye primer, I tried wearing this for about 5 hours without any primer and it didn't fade at all! 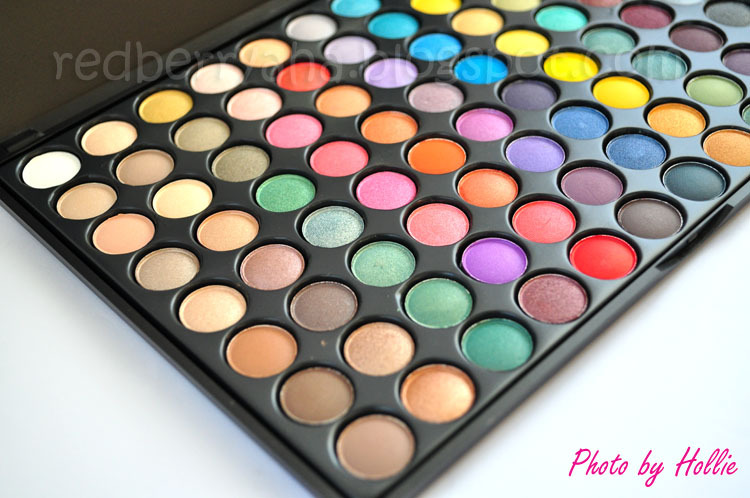 In conclusion, this is a palette every lady should have. Dollface offers several palettes to choose from. 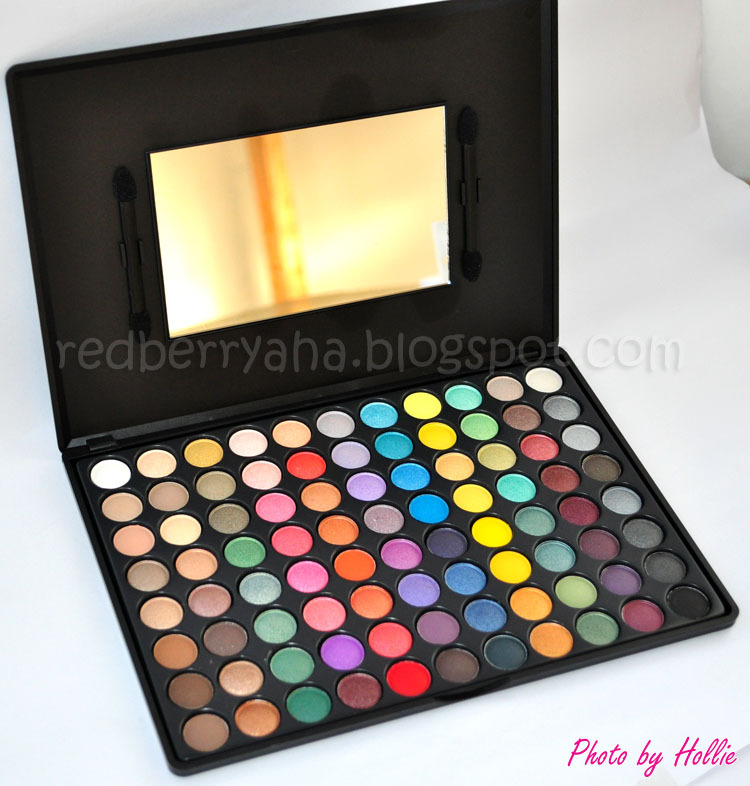 You can also check out their Earth Color palette or the Dollface Palette which carries really pretty shades as well. So, I'd definitely recommend this product. 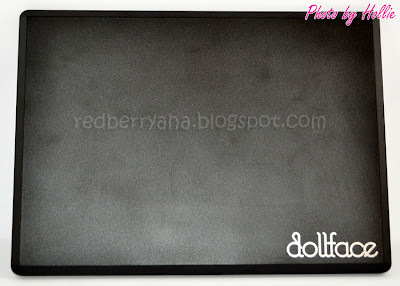 Have you also tried Dollface palettes? Share your experience. 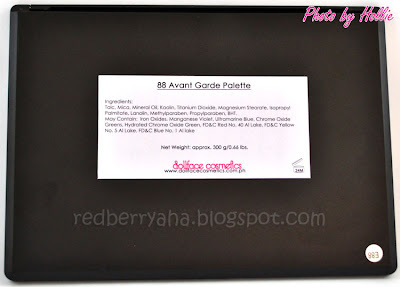 @MissKatv, since most of the colors on the Avant Garde Palette are dark, maybe that's why they're all pigmented except the matte white one. great review hollie! 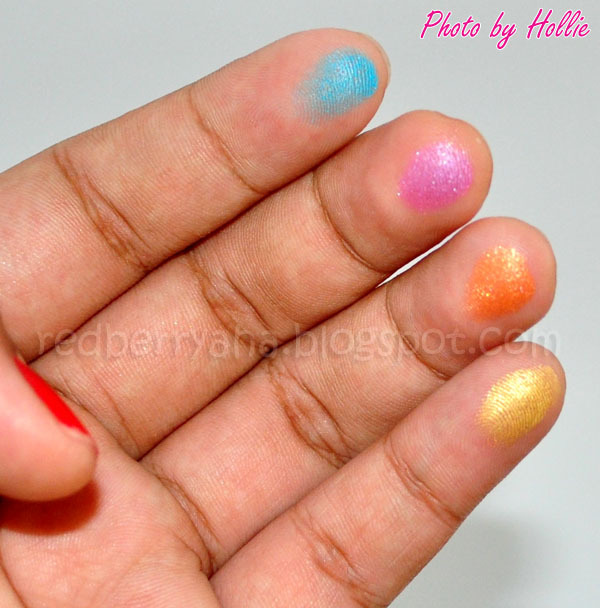 :D i love dollface cosmetics! gonna this one soon! Aww hollithank you for your super sweet comment it really warmed my heart! I haven't tried this brand yet but I really want to the colors are so pretty and I love the pop colors swatches on your fingers hehehe. They're so gorgeous! Omg your pizza hut post looks so yummy especially the tuna melt. I love tuna melt!!!! @The Beauty-Addict, you should try this, I'm sure you'll be happy with it. @sugar sugar, I hope so, I'm crossing my fingers LOL! 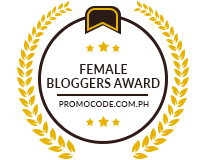 @fashioneggplant, Yes it's really very affordable and it's so worth it... go get it! @Hazel, thanks sis, you should really try their palettes, I'm sure you won't regret it. Great review dear! I just had to share it on Facebook and Twitter. 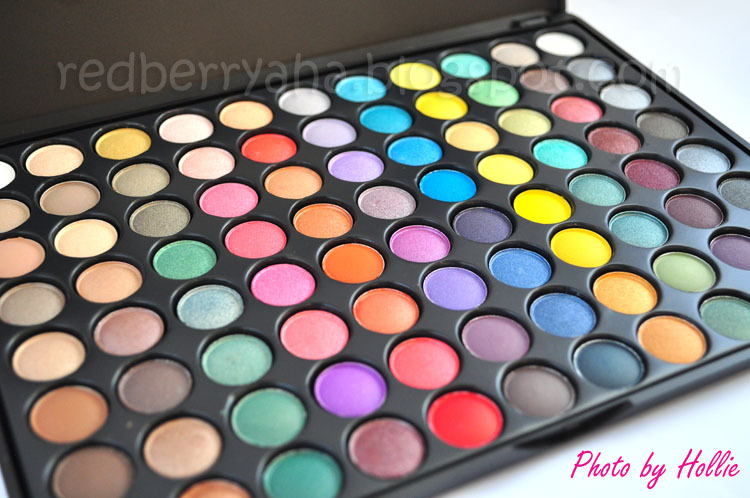 You can do anything and everything with this palette! It's versatile and I absolutely love the colors. Been wanting to get one for myself but I keep delaying it! lol! 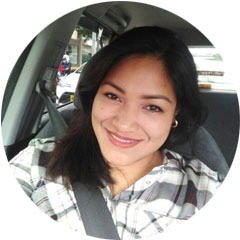 @maricarljanah, Wow Thank you sis! I really appreciate it. After I twitted with you I finally decided to get this...LOL so you're the reason why I bought this palette in the first place...hehe. I'm really happy that I did. how do I get these palette's here in London??? Not sure, but I've had a great experience with this palette. It really has awesome color payoff. You probably got a bad batch. I bought mine last 2011 pa eh.